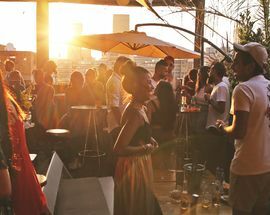 Joburg is the perfect town for sundowners. 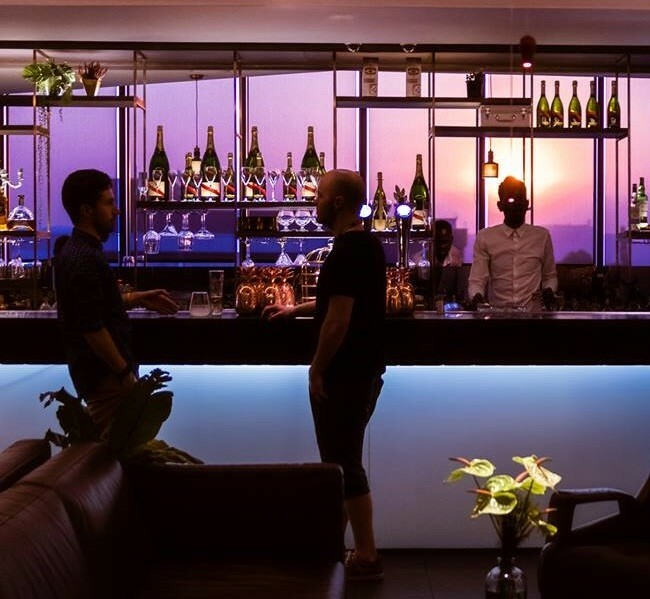 Even in the middle of summer the sun still sets relatively early. 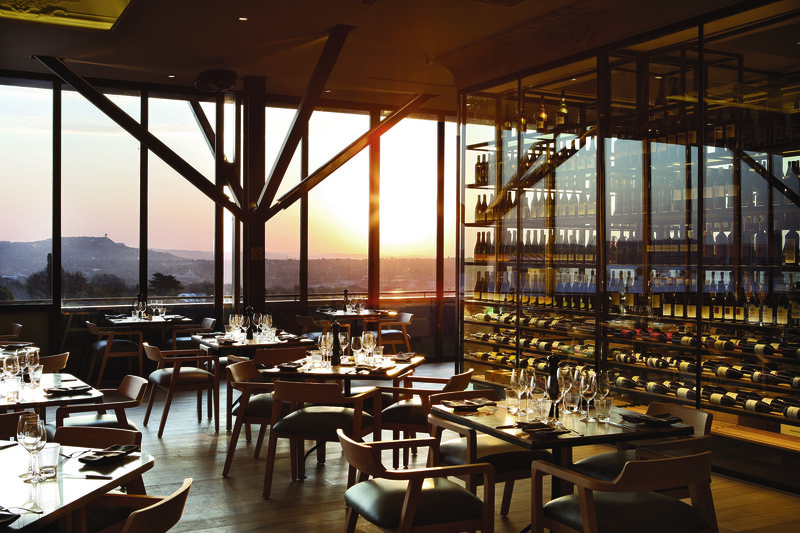 Order an ice cold drink, find a table with a view and enjoy one of Joburg's famously memorable sunsets at a local rooftop restaurant or terrace. 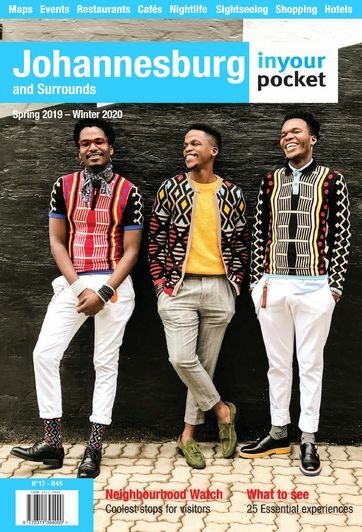 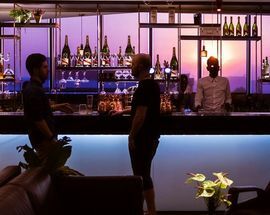 In spring when Joburg's famous jacarandas are in bloom head to the northern suburbs and find a table with a view of the purple blossoms at an exclusive rooftop restaurant like star chef David Higgs' Marble and its neighbour the Mix Cocktail Bar one floor below in Rosebank's Keyes Art Mile. 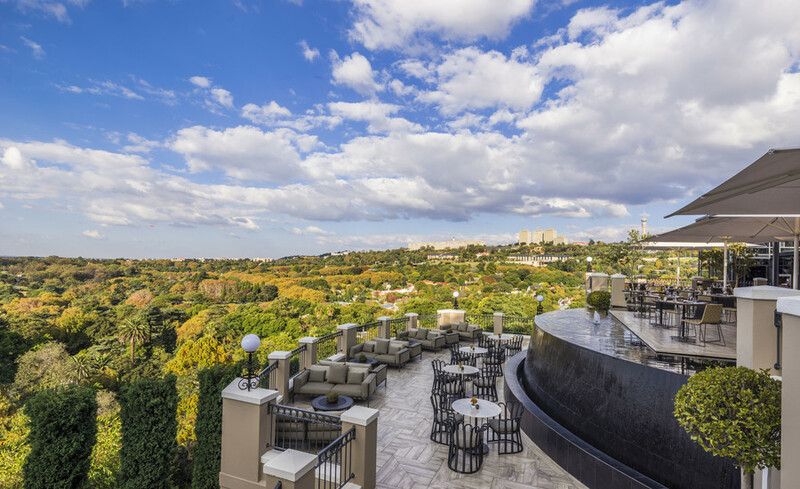 On the terrace at the ultra-luxurious Four Seasons Hotel The Westcliff perched atop of the Westcliff ridge the view of the urban forest stretches for miles, while for a casual cocktail or an elegant meal with a view of the trees the EB Social Kitchen and Bar in the Hyde Park branch of Exclusive Books is a local favourite, as is the pool terrace at the nearby Southern Sun Hyde Park. 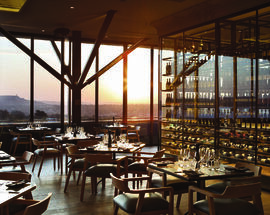 Further north in Sandton Central, the huge terrace at upmarket steakhouse The Grillhouse in the Alice Lane Precinct offers uninterrupted views stretching all the way out towards the edge of the city or a few kilometres away in the Kramerville design district, take a mid-week break and enjoy the view from the quirky Sir James van der Merwe which opens every Wednesday evening for a sundowner party. 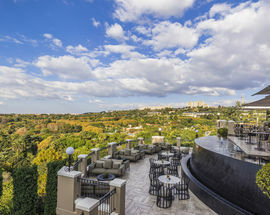 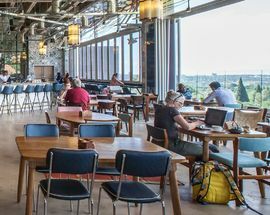 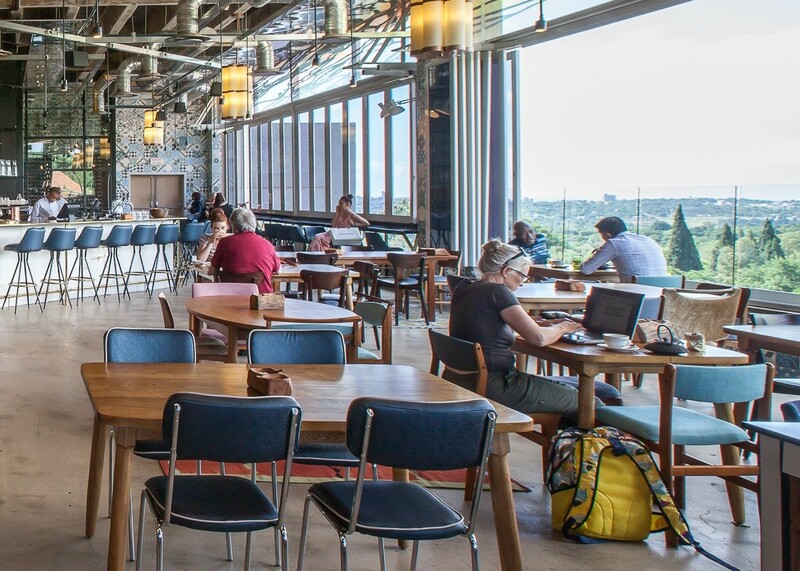 Other favourites include the clubhouse at the historic Parkview Golf Club, where from the terrace the view is just verdant course, trees and sky and for a more urban perspective and views of downtown Joburg's concrete forest, rooftop bar Living Room in Maboneng is a veritable garden in the sky. 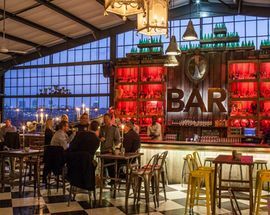 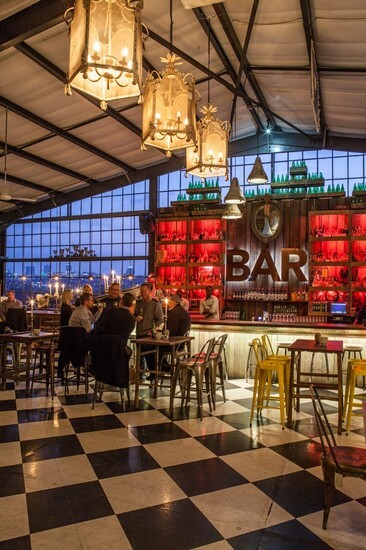 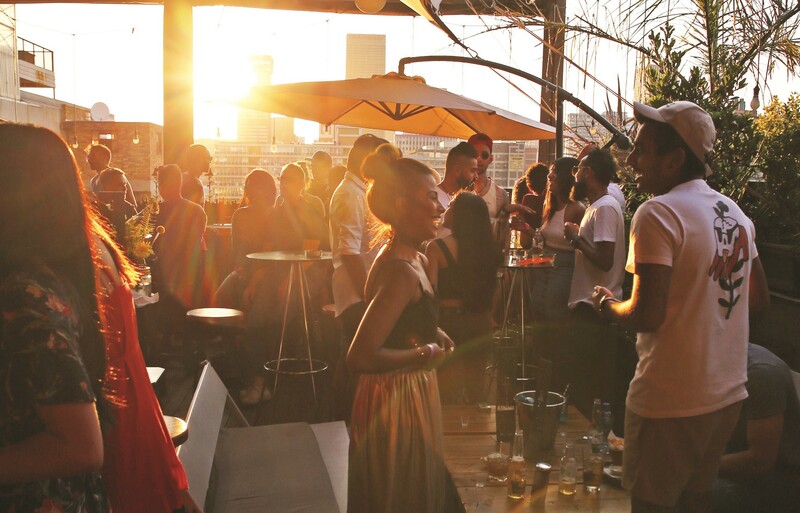 Check out full roundup of Joburg's best sundowner spots below.